The man suspected of killing two WDBJ7 employees Wednesday morning shot himself on I-66 in Faquier County, according to state police and is in critical condition. Bedford County Schools are on a permiter lockdown, a precautionary measure suggested by law enforcement. Roanoke County Schools have released a statement saying their buildings are locked and students will remain indoors today. Route 122 in Franklin County at Bridgewater Plaza is closed due to police activities. A detour has been established for smaller vehicles but not for large trucks. Non-truck traffic can follow the detour signs onto Hardy Road, Turner Branch Road, Goodview Road, Horseshoe Bend Road and Diamond Hill Road. The detour is expected to remain in place for several hours. Commercial vehicles are being turned around on Route 122. 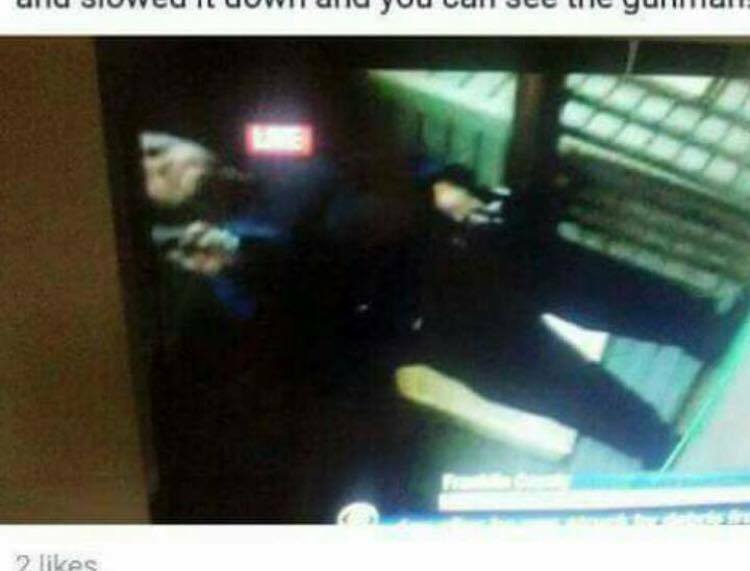 Here is a screen shot of the suspected gunman who may have been involved with the deaths of WDBJ7 crew members this morning in Moneta. Stay tuned to WFIR for the latest on this developing story. 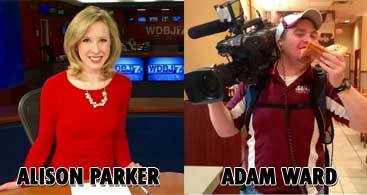 Breaking news this morning, WDBJ7 reporter Alison Parker and photographer Adam Ward have been killed in a shooting at the Bridgewater Plaza in Moneta. The shooting happened during a live report. Parker was interviewing an official with the Smith Mountain Lake Chamber of Commerce when the shots rang out. At last word, the shooter is still on the loose. Officials are not aware of a motive or the identity of the suspect at this time. 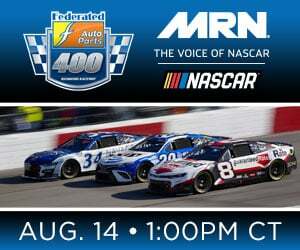 We will keep you updated as we learn more information.